WASHINGTON (WABC) -- The New York mayor is testifying before Congress Tuesday, opposing cuts to homeland security funding. Bill de Blasio was appearing before the House Homeland Security Emergency Preparedness, Response, and Communications Subcommittee. 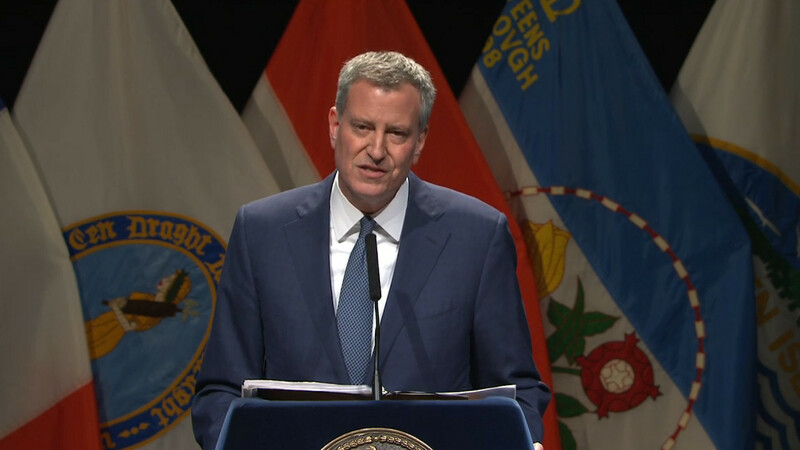 De Blasio joined 17 other mayors, including the mayors of Los Angeles, Boston and Washington, D.C., in a letter to congressional leaders criticizing President Obama's 2017 budget that cuts security funding. "As Mayors, we share the strong belief that severe cuts to key homeland security grant programs directly jeopardize the safety of the citizens we represent," the letter states. In the afternoon, de Blasio planned to meet with the New York congressional delegation. The mayor will also meet with Secretary of Homeland Security Jeh Johnson and Secretary of Health and Human Services Sylvia Burwell.